Indulge your urge for intense color! Feed your appetite for incredible texture! 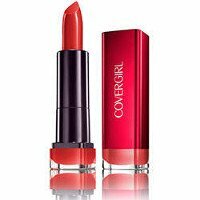 CoverGirl Colorlicious Lipstick satisfies your desire for high-shine intensity and silky-smooth application. Saturate your lips with ripe, rich color and luscious, lip-loving moisture.